Antonio Gramsci believed that the path to the seizure of state power was not through violent revolution, like the Communist Revolution of a century ago, but through “becoming State.” Marxist revolutionaries would become the state by taking over the institutions of the state. Midterms over, members of a newly-empowered Democrat House majority have made no secret of resuming their attack on our Republic from the institutions that comprise it. 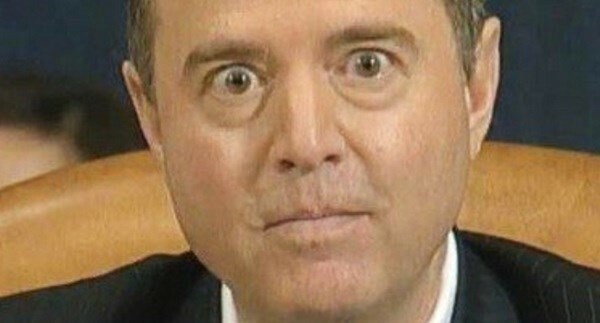 Congressman Adam Schiff, soon to replace Congressman Devin Nunes as head the House Intelligence Committee, is wasting no time signaling his intention to use his committee to attack the Trump presidency and cripple its ability to conduct foreign policy. He intends to use his position not only to end ongoing investigations into Democrats’ misconduct but to pivot and attack, using the subpoena powers of his committee within the institution of the House of Representatives as his castle from which to demand respect. What can’t be co-opted (in this case, the executive branch), they will destroy. His plan is about twisting the emoluments clause into an unrecognizable form. With the help of the “mainstream” media, Democrats intentionally confuse the American people to undermine a President because they lost the election. Indeed, Democrats publicly plan to display their “resistance” files by weaponizing the House on this issue; and multiple others across other committees in a non-stop assault on this President to destroy the executive branch’s ability to govern. Contrast this to the out-of-bounds efforts to expand his predecessor’s executive power, even extraconstitutionally on multiple occasions, and one gets the new Democrat modus operandi: co-opt or destroy. They will mangle them emoluments clause into nothingness; just like they desire to do with the electoral college, redistricting, state power, the US Constitution, etc. President Trump has done a lot in the Middle East to help realign its power structures away from radical Islamists and toward moderates, reversing Obama’s policies of tipping the scales towards the radicals. Thus, the President has made it clear US leadership is back and leading from the front. The sad reality of international relations in the Middle East is that there are no good guys, just less bad ones. 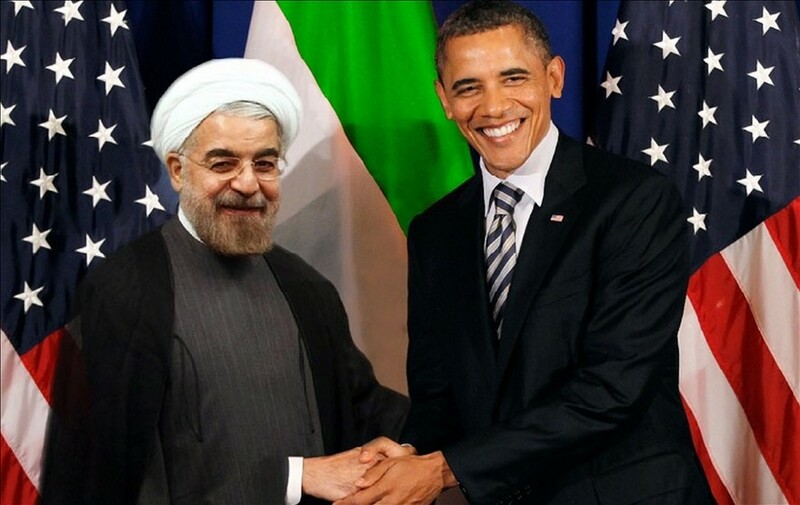 Democrats have put their marker down in defense of the Muslim Brotherhood and in the overturning of friendly regimes. Libya is an excellent example of a multi-decade diplomatic success story turned lesson for pro-western, Middle-Eastern dictators. Libya had disarmed and ended its nuclear program and turned in all its nuclear materials. 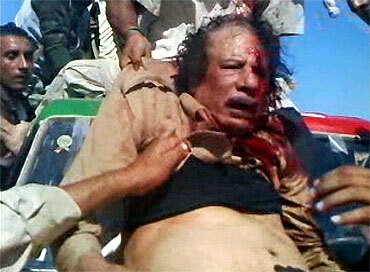 The payback: A bombing of Libya that ultimately resulted in the ouster and murder of its leader, Gaddafi. Libya and Gaddafi could not be used for Democrat purposes, so he was destroyed. Consequently, leaving behind a weak central government and an environment for terror and chaos to thrive. The lesson for the region’s dictators: Comply with the west and die. Notice that its perfectly fine for his predecessor, President Obama, to order the killings of civilians, and oversee the removal of heads-of-state. He also overlooked the political murders of hundreds of thousands across the Middle East. His administration halt investigations into/prosecution of Hezbollah (a terrorist organization) operatives running cocaine and heroin through the United States. We won’t even get into the targeting of American citizens via the IRS, via FISA court abuses. Or the weaponization of our intelligence agencies, and gaslighting an entire nation using non-existent Russian collusion to influence the 2016 election. We now know this is a cover for Democrats’ collusion with Russians to do the same via a “dossier” of “salacious, unverified” information paid for by the DNC and the Hillary campaign. Nor will we delve into the Clinton Foundation’s complete sellout of American technological secrets. According to the FBI via the Skolkovo project, the Clinton Foundation received large donations immediately after the selling of American uranium to Russian. Meanwhile, Hillary was Secretary of State and influencing American corporations to participate; or the use of a private e-mail server to conduct classified business. Seventeen of the twenty-one businesses who participated also left massive contributions to the CF. Nah. No influence peddling there. No serial violations of the (re-interpreted on the fly) Espionage Act. That too is above board. Democrats did it; it has to be! Instead, Democrats will attempt to destroy an emerging alliance between a moderating Saudi Arabia, Egypt, and Israel against hardline Iran, Turkey, Syria; using the guise of Saudi officials staying at Trump-branded properties when conducting official business. Nevermind that the President had passed off control of his business holdings to others. They will even try to leverage a potential political assassination by another nation to do so. President Trump must not be allowed to shape foreign policy; his business activities must be criminalized to prevent it. You see, only Democrats are allowed to wield power. Democrats use their offices to enrich themselves from American technological secrets and national security assets. They overlook a terror network destroying the lives of Americans, so as not to threaten a nuclear capitulation to a terror state at war with the United States. The American people in selecting Trump as their president (we’re enemies of the republic for doing so). Governors lawfully redistricting after years of census results. A growing economy where taxpayers keep the fruits of their labor. Election deadlines or voter eligibility. Laws allowing states to clean their voter rolls. The election system itself (in favor of a national popular vote to destroy our republic for a direct democracy). The Bill of Rights, the separation of powers doctrine, nor the rest of the Constitution. Congressman Schiff’s promised “investigation” is but a small part of this larger effort. The executive branch (thus the American people’s choice to run it) could not be co-opted; so it must be destroyed, using other governmental institutions. Take notice as the media promotes and cheerleads all of it, under cover of “press freedom”.